Are You Happy, Sad, Angry or even Annoyed? The List Goes On. 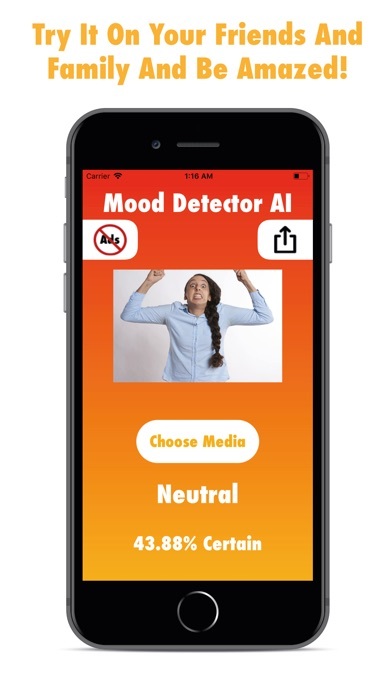 Be Amazed When Mood Detector AI Predicts Your Mood Using Artificial intelligence And Machine Learning! 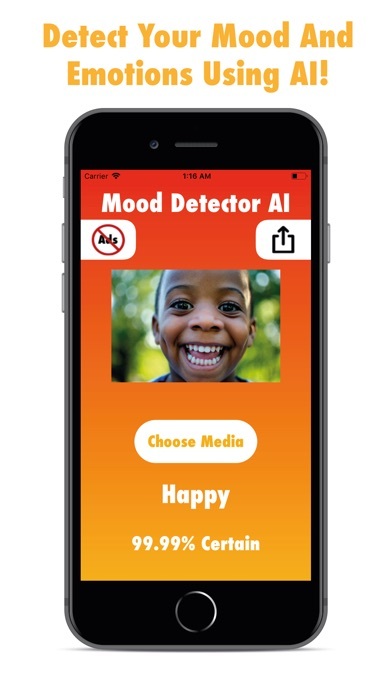 Mood Detector AI Will Accurately Predict Your Current Mood Giving You Its Prediction And Its Certainty In A Form Of Percentage. Ever Wander What You Are Feeling But Can't Place You Finger On It? Enjoy As Mood Detector AI Correctly Guesses Your Mood For You In Seconds! Note: This app is for entertainment purposes only and not to be used in situations other than for entertainment. Not all predictions can be accurately trusted. We Hope You Are Enjoying Mood AI!